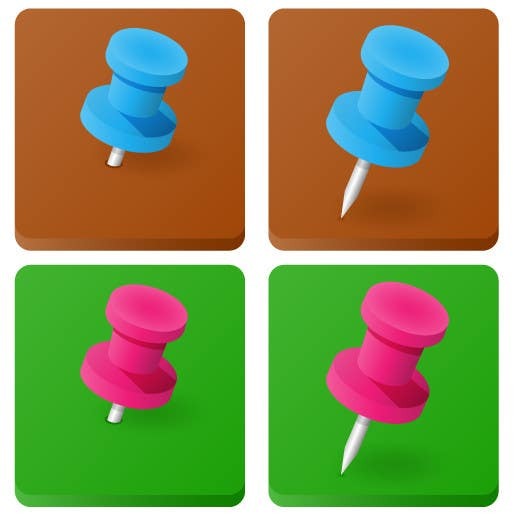 Vector pin icons in two different colors blue on brown and pink on green. Just tell me which one of my entries do you like so I will create its icons. I really hated the owners contest passive and pick a winner does not comply with what he described..